Following sell-out debut shows in 2016, Gavin James is set to return to Australia in March in support of his second studio album 'Only Ticket Home'. The new release takes his music to new heights—a beautifully crafted album that will leave you wanting to listen on repeat. 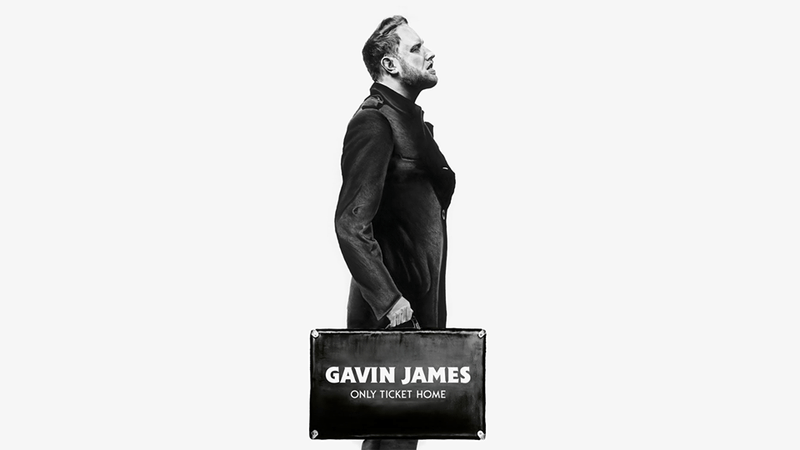 Striking a perfect balance of upbeat-anthemic tracks with Gavin's signature ballad sound, 'Only Ticket Home' describes the ups and downs of life on the road over the last three years—contrasting the emotions of being away from home & loved ones with the amazing thrill of travelling around the world and loving what you do. It's been an amazing journey so far for the Irish singer-songwriter, having played sold out shows worldwide, supported the likes of Ed Sheeran, Sam Smith and performing at the world's major festivals including Coachella and more. His debut album 'Bitter Pill' went platinum across the globe as well as gaining global chart success with the hit single 'Nervous (The Ooh Song)'. Don't miss Gavin James in Australia in March. Tickets won't last.